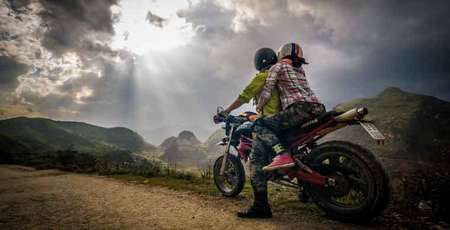 About to start your trip to the highland in the North of Vietnam? 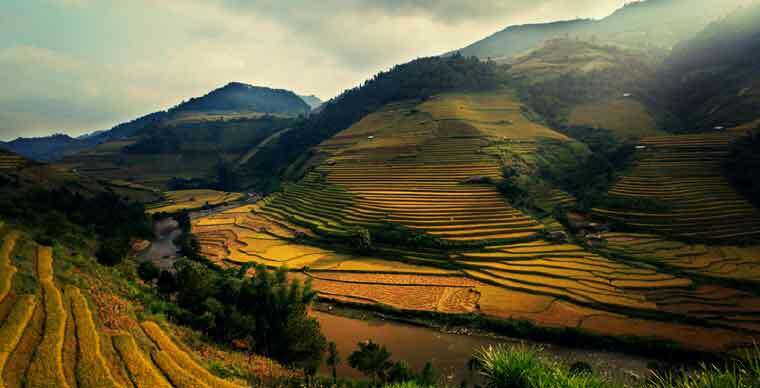 Here’s some information about rice terraces in Sapa, Mu Cang Chai and Hoang Su Phi may help you understand better about the place you are about to visit. Terraced fields are associated with the history and residence culture of the H’mong, Dao, La Chi, Nung ethnic groups in Sapa (Lao Cai) and Mu Cang Chai (Yen Bai) and Hoang Su Phi (Ha Giang). 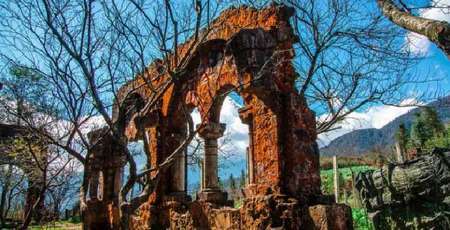 Initially the terraced fields were formed at the foot of the mountain to actively make use of the source of water for irrigation, but later on when the population increased, people began to open up terraced fields to the top of the mountain. However, according to Dr. Bui Huu Tien, Deputy Director of the Museum of Anthropology, University of Social Sciences and Humanities, terraced cultivation is not simply a livelihood method, but also really "a warehouse of unique cultural heritage of upland ethnic minorities with many interesting knowledge, from the story of land reclamation, leading water to the fields, planting, harvesting etc, to rituals for season blend between magical and sacred nuances ”. 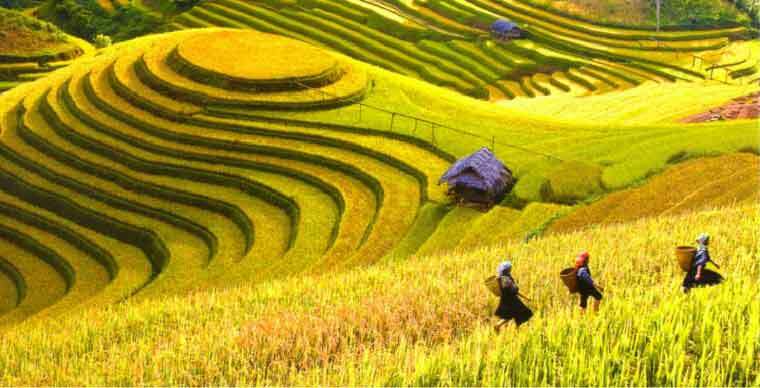 Base on Lunar Calendar, terraced rice farmers like the H’mong and Dao in Sapa and Mu Cang Chai to arrange farm work to suit the weather and the change of nature by observing the signs such as the transformation of plants and animal behaviors so they can arrange their rice cultivation work accordingly. 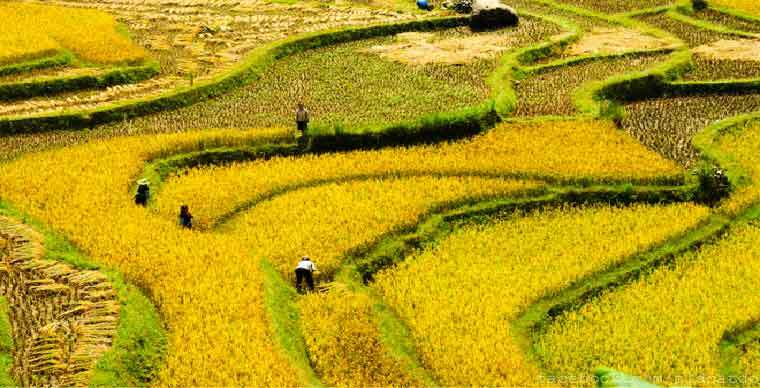 The most important component of terraced fields is the edge, which delimit the rice fields, keep water and shape the soft and flexible beauty of terraced fields. Looking far away, the edges are like small lines that stand out among the fields which are normally 30 cm higher than the surface. The edges of terraced fields is often thicker than the one in plain areas to prevent landslides when the water season comes. The higher the slope, the higher the edge between the upper field and the lower one. “Farming is a hard work, demanding the health and skill of the man to control the buffalo and the plow to turn every solid soil around the rocks, stumps on a narrow field like a thin wobbly horse's belly”. - Mr. Giang An Keo, Hmong, Che Cu Nha commune, Mu Cang Chai district, Yen Bai said. When the young rice tree (jeune riz) has 4-5 leaves, people proceed to pluck them. The person who pluck must also be skillful: Using the right hand to grasp the top, the left hand snatches the root so that the young rice trees layer then jerks it toward self. After that, the young rice trees are bundled into bundles and always put on the field in clusters. In the harvest season, if the Kinh bunch the rice tree in bundles and take it home with a rice plucking machine, then let it dry, the H’mong people do it in a different way. The rice is cut and let dry for 1-3 days, then put it into the wood box (Pang thung) for people to beat, to separate the grain from the straw right in the field. Dried straw is gathered into bundles, used as food for buffaloes in the winter. 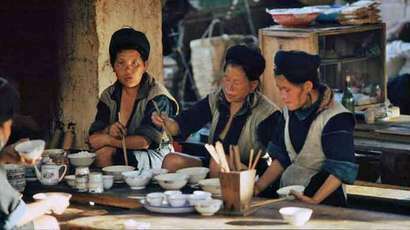 Hmong, Dao in Sa Pa, and Mu Cang Chai people pay much attention to preserving and many traditional rice varieties, including rice varieties and sticky rice. 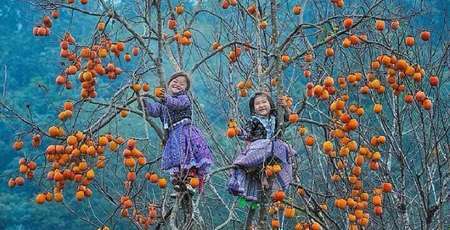 Seeds are also considered as assets transferred from parents to children or siblings. The conservation of local rice varieties differs between communes in the region and households. This depends on the number of lands that can cultivate appropriate varieties of rice, the requirements for religious practice as well as the need to eat. When visitors can admire the most beautiful images of Sapa terraced fields? 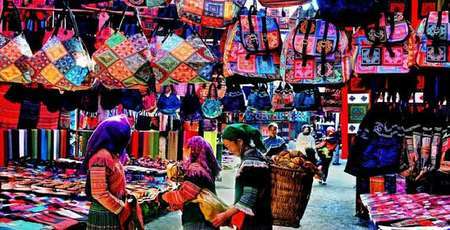 There are two times during the year that tourists should visit Sapa, which is the season of “pouring water” and the harvest season. 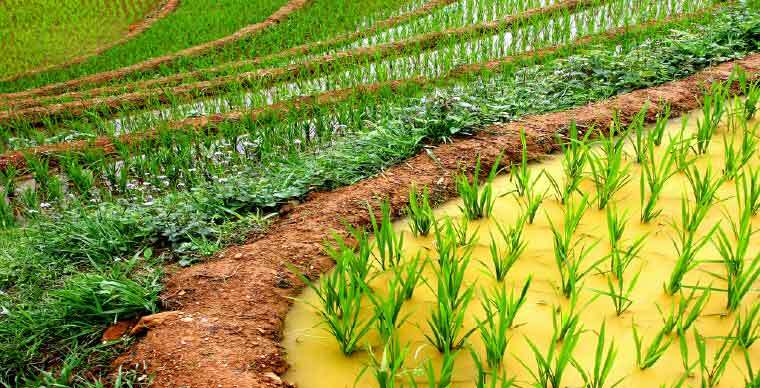 In April when the upstream rains began to fall, diligent farmers will bring water from the source streams to the rice fields; Soak the soil and plow the new crop. The scene is very lively and vivid: white water covers the whole field. From the village to the fields, people call each other out very early in the morning to go to the field to catch up with the crop, a spectacle not to be missed. In the late autumn (September-October), the terraced fields in Sapa bring in their beauty at the fullest. 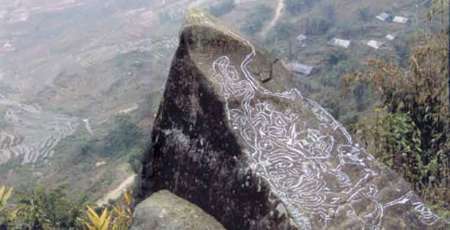 The most impressive is probably Ta terraced fields (Lao Chai district, Sapa), located in the Muong Hoa stream valley. 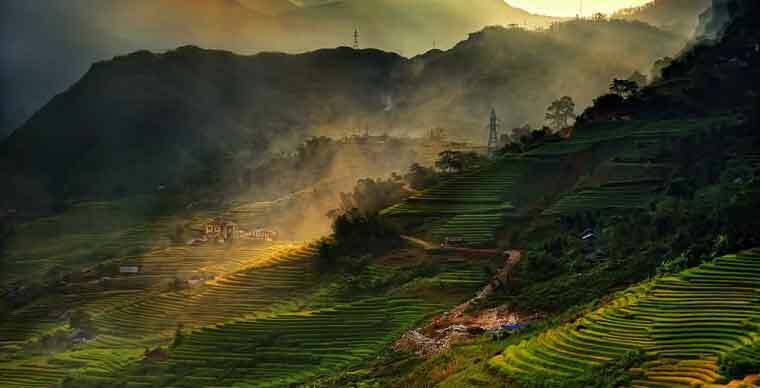 According to many visitors, Ta Van terraced fields are the most beautiful and largest populations of Sapa; with an area of nearly 1,000 hectares. Or with the Vo Lung Sung terrace field, (Trung Chai commune, Sapa) you will have to be dazzled by the immense immensity when it comes to 121 steps.